The Shimmer Me Box is available now for pre-order which ends Friday night and its theme is Horror Movies! The box with guest, Different Dimension, is packed with shades perfect for the season in orange, purple, green, and brown. 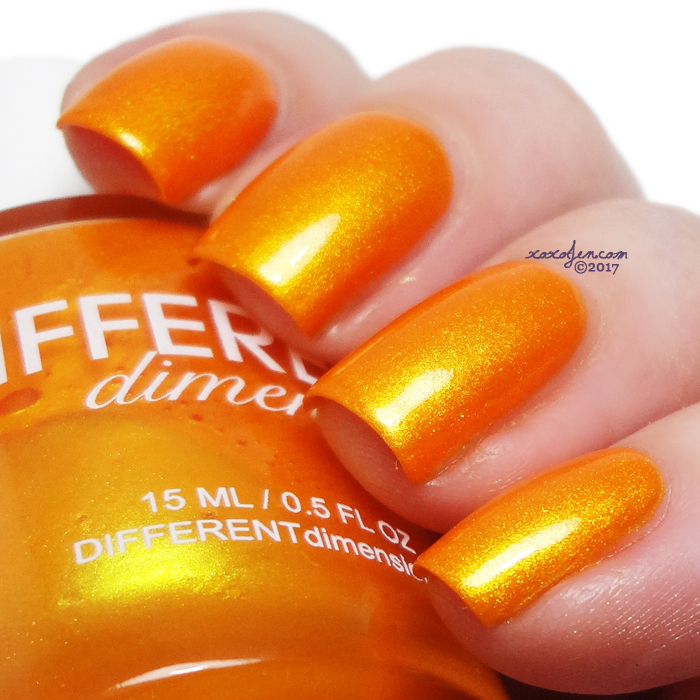 The Silence Of The Lambs - Monarch Orange jelly based polish with golden shimmers. Super glowy like wow!! 3 coats, last one was sponged on. Formula was good. Never Sleep Again - Black crelly base with red shimmer and flake. Multichrome that shifts red to gold to slight grey. 2 coats with topcoat, formula was excellent. The Exorcist - A green leaning grey base with yellow-gold shimmer. 2 coats with topcoat, formula was good. Friday the 13th - dark blue based purple with blue/purple/red shifting shimmer and a touch of red/gold micro flakes. Look at that shimmer, ya'll!! 2 coats with topcoat, formula was excellent. 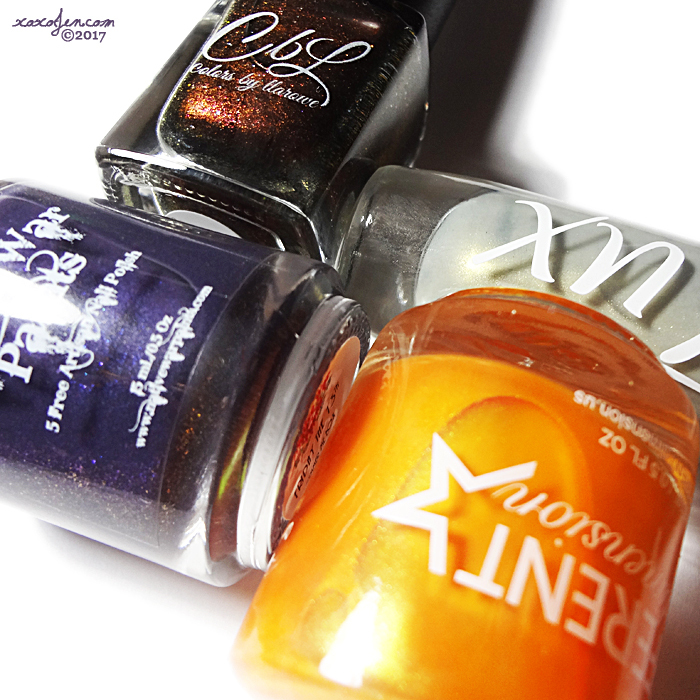 All four polishes are beautifully done and perfect for the season. 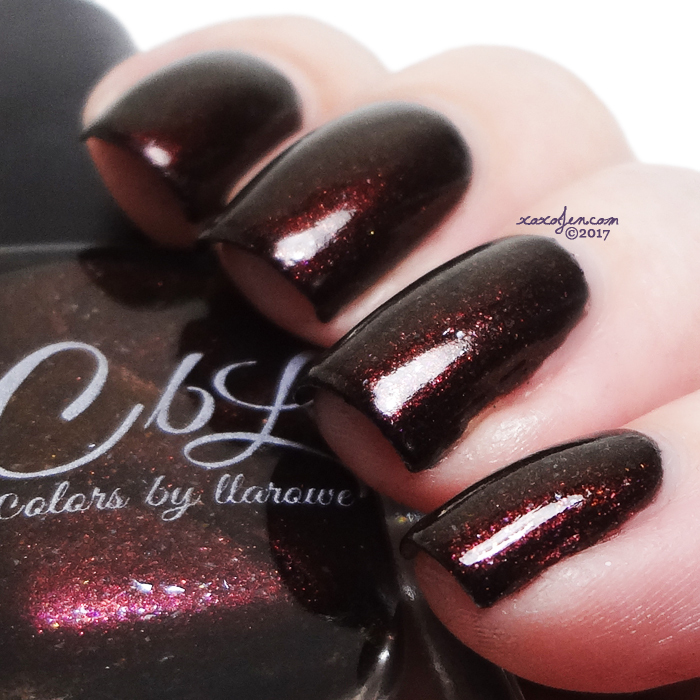 I'm really loving the unusual color of the Tux polish, the NWP's sparkle is amazing, the CBL is such a vampy captivating shade but my favorite of this box is the Different Dimension. The shimmer in Silence of the Lambs is so glowy it'll light your way on Halloween night!